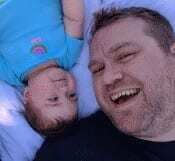 From time to time, you come across things you want to copy. Since Microsoft Windows 10 comes with a useful clipboard, why not give it a try, right? It just might surprise you and offer the feature you’re looking for. If it been a while since you’ve used Window’s clipboard, you may not have noticed that you can do things such as view your history of items copied, your frequently used items, and it’s also possible to sync the clipboard with your other computers. First things first, to enable the clipboard, you’ll need to go into Settings > System > Clipboard. If you’ve received the October update, the clipboard option should be there. To turn the Clipboard feature on, toggle on the feature that says Clipboard history. Follow these exact steps if you ever want to turn off the option. 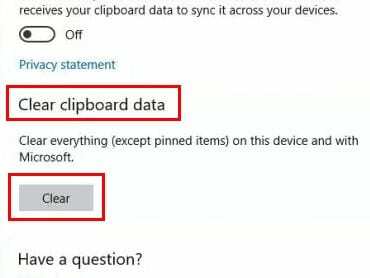 Syncing the clipboard to all your Windows 10 devices (that also need to have the same update) is also an easy task. Choose the option that says Automatically sync text that I copy under the Automatic syncing section if you want to sync absolutely everything, including sensitive data. If not, choose the option that says Never automatically sync text that I copy. An easier to way to turn on the feature would be to press the Windows key and the V key. When the Clipboard window appears, click on the Turn on option. If you don’t want anyone to see everything that you have saved on your Windows Clipboard, then it’s a good idea you erase it from time to time. Towards the bottom of the Clipboard option, you will see a section named Clear clipboard data. This is going to delete absolutely everything you’ve ever copied. If you’re sure that this is what you want to do, click on the Clear button at the bottom. This option will erase everything from your Microsoft account and from your devices as well. This does not include the pinned items. You have to remove them manually to wipe them. If there are only a few items that you want to erase, press the Windows and V key, and click on the options you want to erase. To copy something on the new Clipboard, select what you want to copy and right-click on it. Select the Cut or Copy option and make sure that you have open where you want to paste the content. Once its open paste away, but don’t forget that you can also press the Windows key and the V key to choose what you want to paste. As you can see the Windows 10 clipboard is very easy to use, and you don’t have to be a tech genius to take advantage of it. What feature would you add to the clipboard?